Jordan Wilimovsky wins the 10K event at Kazan to secure his spot on the Olympic roster. MALIBU—Following a first place finish at the 2015 FINA World Championships, Malibu’s Jordan Wilimovsky has booked a spot on the United States Olympic Swim Team. Jordan Wilimovsky finished in first place to secure his place on the Olympic team. 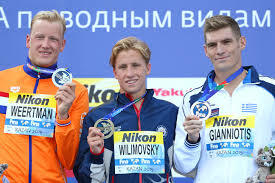 On July 27, Wilimovsky, 21, won the men’s 10 kilometer open water event by a margin of 12.1 seconds over second place finisher Ferry Weertman of the Netherlands. Wilimovsky competed against a field of almost 70 world-class swimmers from around the globe. Third place finisher Syridon Giannotis of Greece placed fourth in the same event at the 2012 Olympic Games in London. Wilimovsky’s impressive finish also marked the first time in a decade that an American has won the event at the championships. Wilimovsky wasn’t the only American to swim a strong race, 22-year-old Sean Ryan finished in fourth place to fill the second available spot on the United States’ Olympic team for the 2016 Games in Rio. Wilimovsky and Ryan are the third and fourth athletes to earn a spot on the U.S. team, and the first two confirmed members of the swim team. In addition to their single events, Wilimovsky, Ryan, and the rest of the U.S. team also became the first American team to win the team trophy in open water since 1991. Wilimovsky currently attends and competes for Northwestern University, where he is set to graduate in 2016. In 2012, he graduated from Malibu High School, where he broke three school swimming records. He was also a member of the swim club Team Santa Monica. 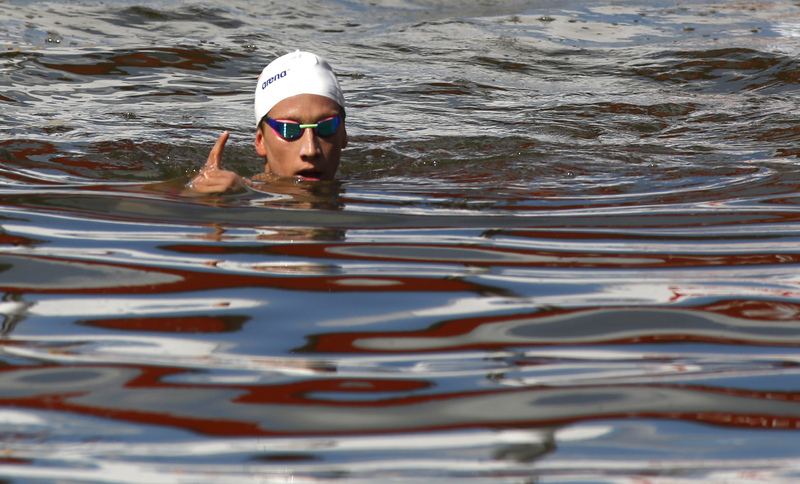 He will attempt to become the first ever American male to capture the Olympic gold for open water swimming at the 2016 Rio Games, which will kick-off almost a year from today on August 5, 2016.